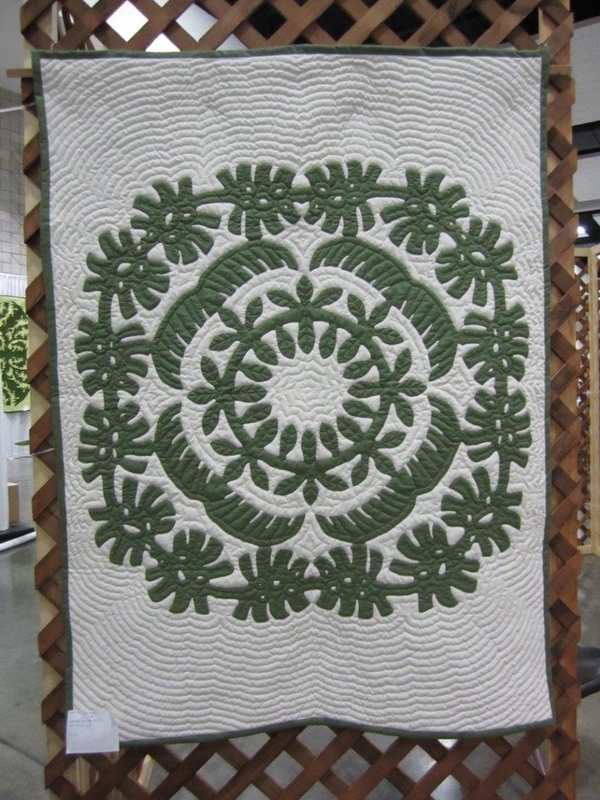 February 2015 - Hawaiian Quilting With Poakalani & Co. The Hawaiian word for whale is “Palaoa” It is also the name of the Hawaiian neck ornament used by the Hawaiian chiefs. The ivory hook on the lei/necklace is called the “Niho Palaoa” because it is made out of the tooth of the whale suspended by braided strands of human hair. Worn by the chiefs to ward of any evil intentions of visitors and families. This past Friday was an amazing day for our family. We went to the Hukilau Market Place in Laie to see the unveiling of our great-uncle Tutu Hamana’s statue at the entrance of the Polynesian Cultural Center. Tutu Hamana was known in his hometown for not only his active role in the first Hukilau but the true originator of Hawaii’s famous “Shaka, Hang Loose, Right On” Sign. In honor of this event John created this design for his and our Tutu Hamana. Can You find the Shaka Sign On the quilt? Some of the family. John is under Tutu’s shaka Sign. The rest of the family are taking photo’s of the family. 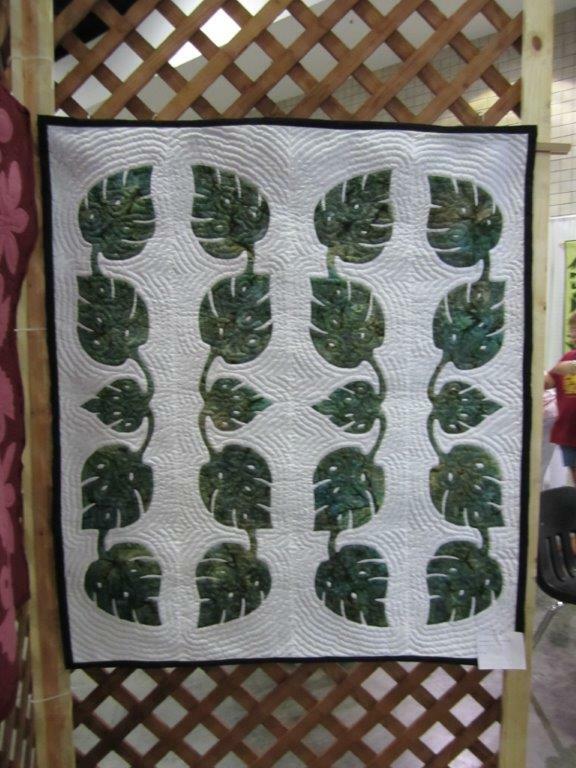 One of my favorite quilts depicting my Hawaii. Palm trees, Canoes and Rainbows. 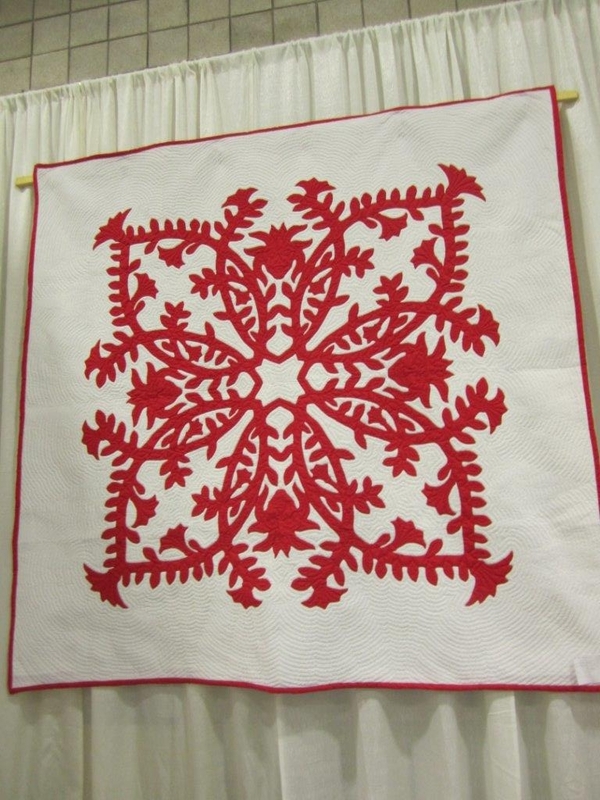 Quilted by Takako Jenkins. Designed by John Serrao 90″ x 90″. 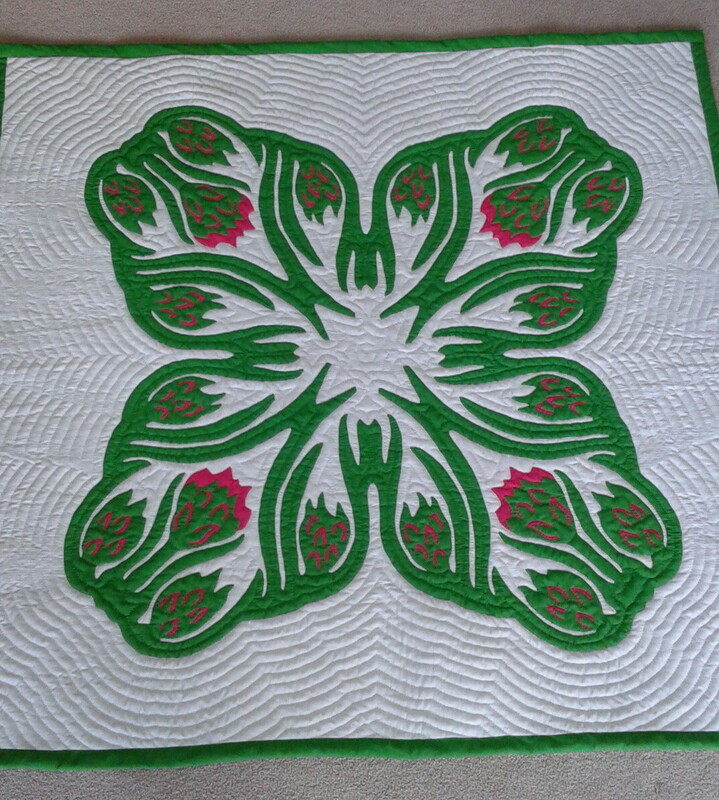 Before designing a quilt John always asks the quilter, “What is Your Story” and from there he is able to design quilts depicting a magical place in time, a favorite flower and even dreams for the future. 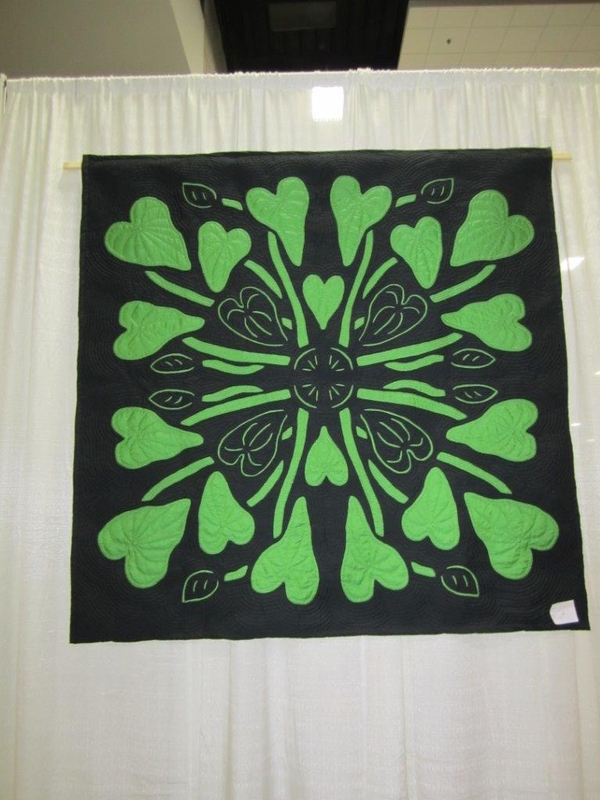 This quilt shows Takako’s love for Hawaii. After designing your pattern sometimes it’s a good idea to cut it out on paper first before cutting it out on fabric. That way you can see the full design, double check the size, and also make any changes. When John first started designing he used masking tape to join newsprint paper to the size of the actual quilt. 45″ x 45″, 90″x 90″ even 108″ x 108″. He would then fold the large paper to it’s 1/8 fold and design the pattern. When that step was completed he had the ladies cut out the whole 1/8 paper pattern and then finding any open floor space opened the pattern to it’s full design(this was a great practice time to show the quilters how to lay out the quilt). At this time he and the ladies were able to see the pattern opened to its full design. We got our newsprint paper from Hawaii Hochi and purchased their end rolls. Today we use less paper and mirrors. 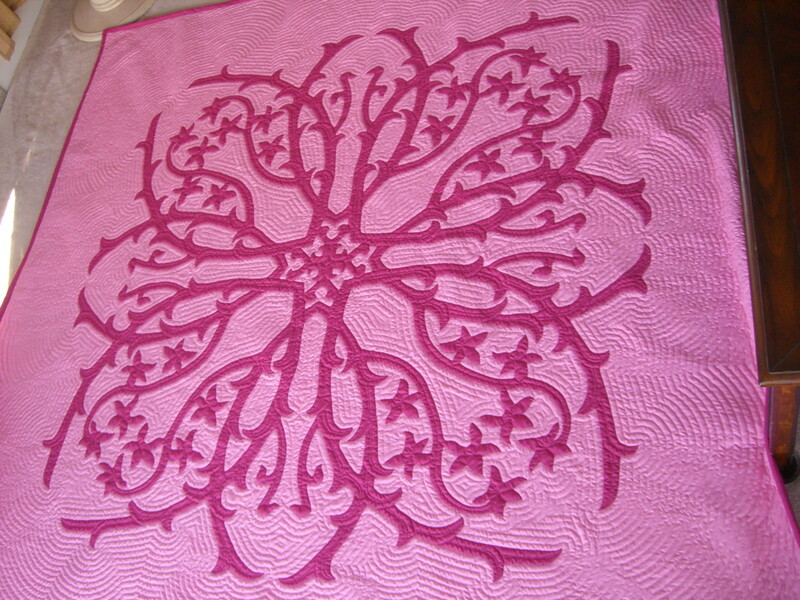 The Cupid Quilt, designed and quilted by Sophie Ventura. As you can see there is no symmetrical design, just cupid and hearts placed on a background fabric and than sewn and quilted by machine. 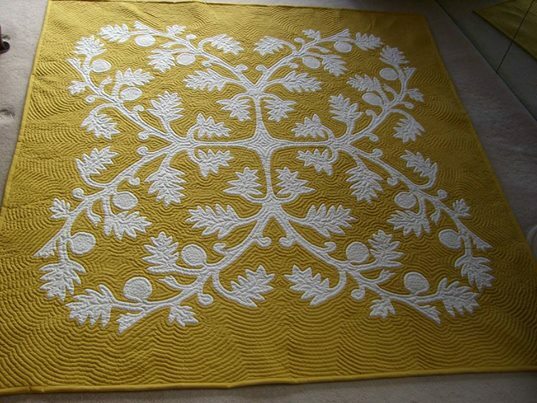 Aunty Sophie made this quilt in one day as a gift for her husband. Yes, she made it the day before Valentines day and finished it, but it’s an amazing quilt capturing an expression of love for her husband. 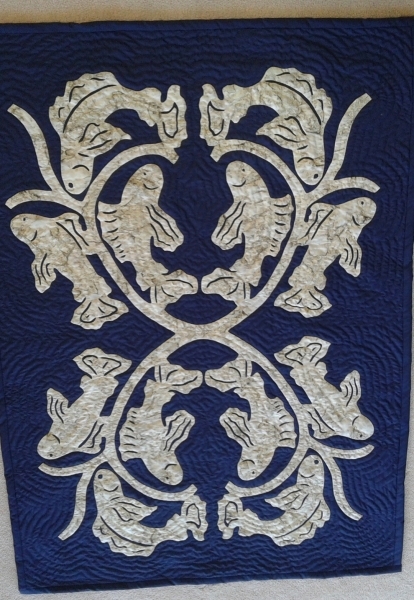 This quilt was part of our Family Quilt Show held at the Mission Housed Museum almost twenty years ago. Those two little girls in the photo are my nieces who are all grown up. 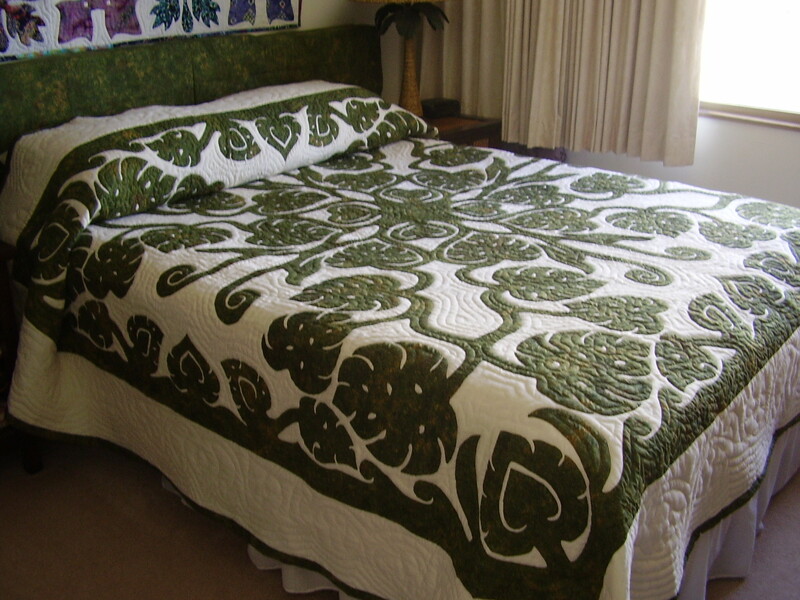 The Monsterra a very popular Hawaiian quilt design because of its bold large leaves. Click on the graphic and watch John and his magic pencils create the actual design seen here. 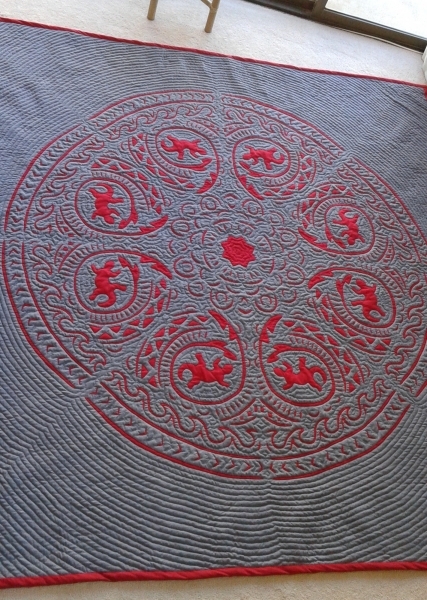 45″ x 45″ Designed by John Serrao from the Poakalani Serrao Family Quilt Collection. 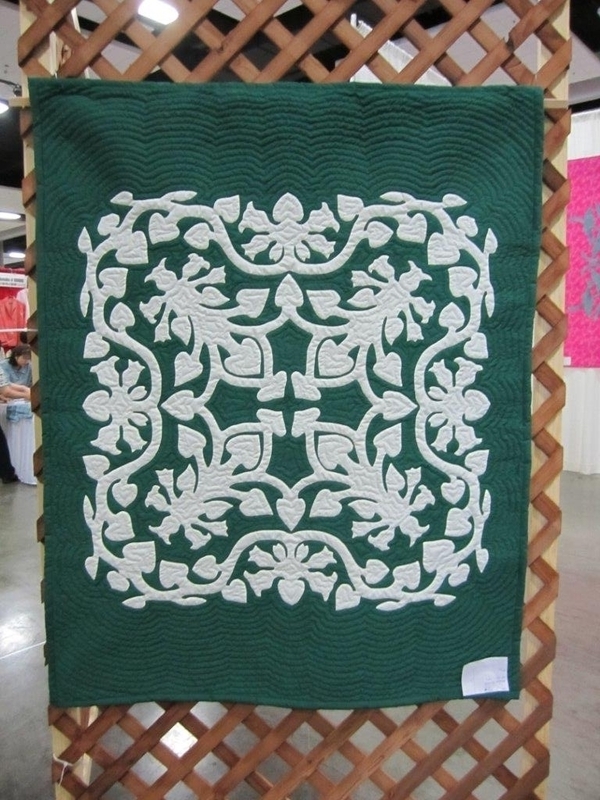 Ka Hui Kapa Apana O Waimea, the oldest Hawaiian quilting club in the islands dedicated to the art of Hawaiian quilting, is hosting its biennial Hawaiian quilt show 9 a.m.-3 p.m. Saturday, Feb. 7, at Mana Christian Ohana (formerly Kahilu Hall) in Waimea. 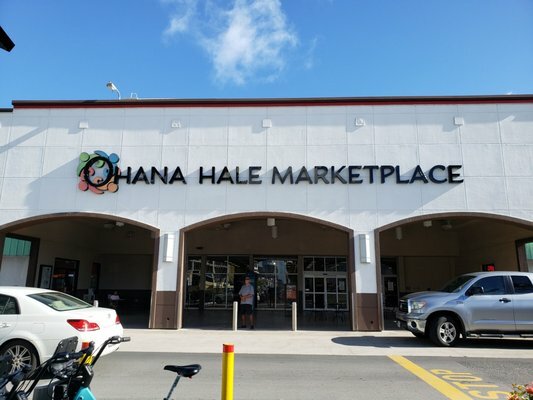 This free event includes a spectacular display of traditional Hawaiian quilts, an opportunity for pattern tracing, a learn-how station and a craft sale. Come to Waimea for the Cherry Blossom Festival and look for us in the hall behind Kahilu Theater. For more information, contact Cyndy Martinez at (808) 938-5728. **Hawaii Island** We all wish it was on Oahu Island but good time to get away for a day. The Hawaiians would cut the stalk of the Ti Leaf and curl back the leaves so it would look like the Kahili . It was beautiful but not as precious as the feathered standards of the Alii.